This post was originally published on Spinwatch on 19 December 2016. A state in denial is the second of two major books on the Northern Ireland Troubles to emerge from research by the Pat Finucane Centre and Justice for the Forgotten, each making extensive use of official documents from the National Archives. In the previous work, Lethal allies, Anne Cadwallader of the Pat Finucane Centre presented the evidence that proved beyond doubt the existence of a loyalist gang involving members of the RUC and Ulster Defence Regiment responsible for some 120 killings in Mid-Ulster in the 1970s. Cadwallader demonstrated that opportunities to investigate the gang's activities were repeatedly passed up, and paramilitary infiltration of the security forces went unopposed despite official knowledge that this was the main source of loyalist arms. While the existence of the Glennane Gang is now generally conceded, some critics of Cadwallader's book still resisted her conclusions about the role of high-level collusion in allowing the gang to operate. A state in denial, by Margaret Urwin of Justice for the Forgotten, leaves the holdouts for the bad apple theory with an even more difficult task on their hands. She turns the spotlight firmly on the policymakers, and evidence of high-level collusion emerges on almost every page, from MI6 officers recommending collaboration with loyalist 'vigilantes' in the early 1970s to the Chief Constable lobbying on behalf of the Ulster Defence Association in the early 1980s. A key turning point came with the introduction of internment early in the conflict, which was applied solely to republicans. While IRA members could be detained solely on the basis of intelligence, loyalists could only be arrested for the purpose of criminal charges. To defend this double-standard, the Government argued publicly that loyalist violence was not orchestrated like that of republicans. This line was maintained with a tenacity that had profound consequences. On a number of occasions loyalist violence was attributed to republicans, and evidence of the true perpetrators was suppressed. The most notorious instance of this was the McGurk's Bar bombing, which killed 15 people in December 1971. Had its true UVF provenance become public, the authorities would have been under pressure to intern loyalists. Instead, it was portrayed by the authorities as an own goal by IRA members supposedly assembling a bomb in the pub. This was maintained even at the European Court of Human Rights (ECHR) when the British authorities defended the so-called 'Irish state case' in which the Irish government challenged a number of abuses including the differential application of internment. The ECHR's conclusions, published in 1976, accepted the British account of McGurks and thus of the level of loyalist activity. The first official acknowledgement of the truth did not come until a report to the McGurks families from the Historical Inquiries Team in the 21st Century. McGurks was only one instance of a more general phenomenon which shaped the whole British approach to the Troubles. The determination to avoid a confrontation with loyalists on the one hand, and to be seen as upholding the rule of law in the other, led to a policy of denying reality which further alienated nationalists and deepened political polarisation. A similar case was British unwillingness to acknowledge the UVF role in the Dublin-Monaghan bombings of 1974, at a time when officials were regularly meeting UVF leaders as a preliminary to its legalisation less than a week after the attacks. Urwin argues that the indulgence of loyalist violence contributed to the breakdown of two major opportunities for peace: the power-sharing executive of 1974 and the IRA ceasefire of 1975. Yet the ultimate example of the policy of duplicity lasted almost throughout the Troubles. This was the decision to allow the largest loyalist paramilitary group, the Ulster Defence Association, to remain legal from its formation in 1971 until 1992. This was made possible by attributing attacks to rogue individuals or to a supposedly separate organisation, the Ulster Freedom Fighters (UFF). Yet, as Urwin shows, in internal government documents throughout the whole period, officials acknowledged that this was a fiction, the UFF was a mere cover name for a UDA whose leadership was up to its neck in sectarian assassinations. They nevertheless regarded attempts to make them acknowledge these facts in public with some irritation. The bizarre nature of the situation was highlighted by American reporter Michael Daly, after a telephone conversation with the press officer at UDA headquarters, Sam Duddy, who openly avowed UDA assassinations. Daly described the UDA as 'the only terrorist organisation in Europe listed in the telephone book.' This policy was seen at its most ignominious in 1981, when UDA leaders were caught red-handed in their headquarters with a cache of submachineguns and ammunition. Other raids netted UDA intelligence files. Only one person, UDA leader Andy Tyrie, was eventually brought to trial in 1986. He was acquitted after an hour, and the UDA remained legal. Particularly disturbing was the role of RUC Chief Constable Sir John Hermon, who told the Northern Ireland Office in early 1982 that he had channels to the UDA other than his own Special Branch. He warned that in the absence of a political initiative that would placate the loyalists, there was likely to be a wave of attacks that the RUC could not prevent. While concentrating on official documents from the 1970s and 1980s, Urwin does note later revelations from successive investigations into the murder of Pat Finucane. The activities of informer Brian Nelson suggest that if anything, the actions of the state led to an escalation of UDA violence in the 1980s. Urwin analyses dispassionately the notion that Britain's partiality towards loyalist paramilitarism might have been justified by some higher reason of state. However, she concludes that the failure to protect citizens from loyalist violence deepened the conflict, and that it could have been confronted. The one-sided security policy pursued by the British government had implications far beyond Northern Ireland, which also give a global significance to A state in denial. In the 1970s, the European Court of Human Rights ruled that the so-called five techniques' used on selected internees; wall-standing, hooding, subjection to noise, deprivation of sleep, and deprivation of food and drink, were ill-treatment but not outright torture. That ruling was, in effect, treated as a blueprint by governments around the world, inspiring the use of the same techniques in the occupation of Iraq and the war on terror. It was, however, a ruling based on a lie. In 2014, the Pat Finucane Centre found internal documents in which British ministers admitted that the treatment of the detainees amounted to torture. That evidence is contributing to a new case at the ECHR which may yet overturn the precedent that has so often been abused. When that case comes, the evidence in this book will make it impossible to argue that British security policies were even-handed. Having marshalled so much official material, Margaret Urwin has shown us the wood amongst the trees. The legality of the UDA over more than 20 years was itself high-level collusion in its purest possible form, and this book is definitive documentation of it. Margaret Urwin. 2016. A state in denial: British collaboration with loyalist paramilitaries. 2016. Mercier Press. 320 pages. ISBN 978 1 7811 7462 3. Paperback. The crucial role of intelligence to the Anglo-American special relationship has long been recognised. In this book, historian Richard Aldrich provides a profound new insight into the nature of that relationship in the first two decades of the cold war. Intelligence liaison has often been portrayed as a polite variation of espionage, and Aldrich shows the extent this was true even between these closest of allies. At the start of the cold war both states considered covert action to undermine the Eastern bloc. However, their interests diverged after the first Soviet atom bomb tests in 1949. In 1997, MI5 officer David Shayler went public with a series of damning criticisms of the Security Service. With this book, Hollingsworth and Fielding took Shayler's story as the starting point for a survey of the organisation as a whole. 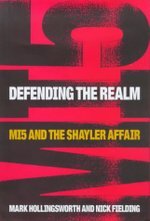 At the time, Shayler's primary grievance was with what he saw as MI5 incompetence, and the two journalists were particularly impressed by his refusal to indulge in wild conspiracy theories, or to reveal details of ongoing operations' or agents' identities. 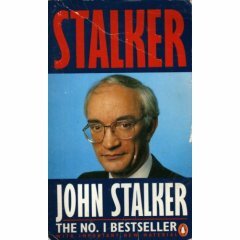 His more recent bizarre behaviour is obvious ammunition for his critics, but arguably only enhances the importance of this book as an exposition of his original views. One in ten of those killed during the Troubles in Northern Ireland was killed by the state.This book tells some of the stories behind that statistic. 22 chapters are each devoted to a single incident, beginning with Bloody Sunday in 1972, and ending with the case of Robert Hamill, who was murdered by loyalists in 1997 while nearby RUC officers refused to intervene. Each chapter contains a substantial account of the case, alongside interviews with relatives of the victims and campaigners. Three further chapters include extended interviews with human rights campaigners Fr Raymond Murray, Clara Reilly of Relatives for Justice, and Fr Denis Faul. Unfinished Business is an extremely valuable record of the cases it documents, but above all it is powerful testimony to the often untold story of how ordinary familes have fought for the truth about the deaths of their loved ones. At 5.30pm on May 17, 1974, three car-bombs exploded in the centre of Dublin. 90 minutes later, another bomb exploded in Monaghan Town. Between them, the attacks killed 33 people, one of the worst death-tolls of the Troubles. The bombings occured at a crucial political moment, in the midst of the Ulster Workers Strike which brought down the Sunningdale Agreement, the last attempt at power-sharing between the two communities in the North of Ireland for decades. A veil of silence soon descended over the episode, in spite of widespread suspicions that British intelligence had assisted loyalist paramilitaries in carrying out the attacks. In this meticulously researched book, Don Mullan provides the accounts of eyewitnesses, survivors and the bereaved, and documents the struggle to uncover the truth about the bombings. The MI5 website specifically denies one of the most eye-catching allegations in Peter Wright's notorious insider exposé of the service - that MI5 officers were plotting to bring down Prime Minister Harold Wilson. Ironically, that must be one the best-attested claims in the book. Writers like David Leigh, Robin Ramsay and Stephen Dorril have documented extensive evidence, independent of Wright, that this is exactly what was happening. Neither Leigh not Ramsay and Dorril believe that Wright was telling the whole truth in Spycatcher. They conclude that his involvement in the Wilson episode was much deeper than he lets on. The one thing that everyone is agreed on, therefore, is that Wright was not a particularly trustworthy witness. Nevertheless, there is a great deal of interesting material in the book. An influential account of the covert struggle between the security forces and the IRA. 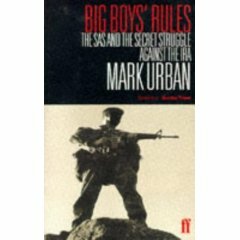 Big Boys' Rules includes a neat diagram at the back of the book which details the evolution, through the 1970s and 80s, of Army and RUC covert units in the areas of surveillance, agent-running and firearms. The substance of the book details the events underlying that diagram, the successes and failures of changing tactics, the political controversies they provoked, and the ever shifting lines of demarcation between Army and RUC responsibilities. 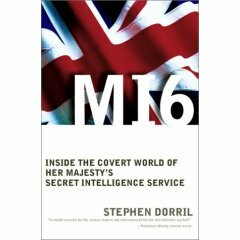 A magisterial study of Britain's foreign intelligence service, the SIS, better known as MI6. Although Dorril covers operations around the world and up to the 1990s, the key focus for more than half the book is on Europe and the early Cold War. During Word War II, MI6's prestige rested more on its control of the Bletchley Park code-breaking programme than on recruiting agents in Europe, where its thunder was stolen by the rival Special Operations Executive. MI6 absorbed SOE after the Second World War, acquiring in the process some expertise in political warfare as opposed to intelligence-gathering. One of the most intriguing aspects of this, MI6 involvement in the Gladio stay-behind networks, is touched on but largely left for another volume, which will certainly be very interesting if it appears. One of Britain's top investigative journalists describes how elements of MI5 and the CIA turned on the British Prime Minister. The story has its roots its in the cold war paranoia engendered by the Cambridge spy ring, a brilliant Soviet coup that penetrated right to the heart of western intelligence. 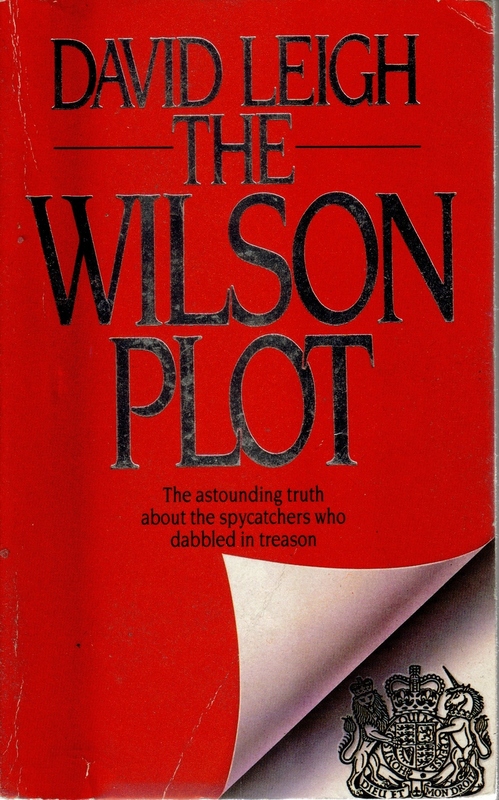 When KGB defector Anatoly Golitsyn claimed that Labour leader Hugh Gaitskell had been murdered by the KGB to make way for Harold Wilson, senior counterintelligence officers such as James Angleton of the CIA and Peter Wright of MI5 were prepared to believe him. This helped pave the way for a covert campaign against Wilson that would climax during his second government in the mid-1970s. 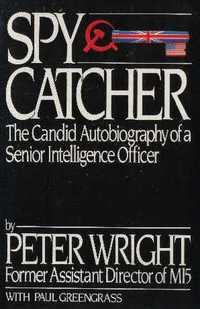 Although, this campaign would be revealed in Wright's book Spycatcher, Leigh argues that Wright concealed his own role. 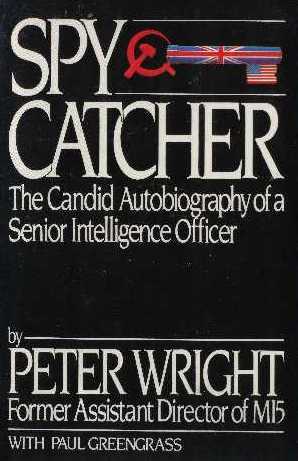 Leigh had access to a number of Wright's unpublished manuscripts, a source he prefers to the ghostwritten Spycatcher.